If you have an unfinished attic, installing proper insulation is a smart investment with numerous benefits. In the winter, you will enjoy warmer, more comfortable room temperatures inside the house. You will no longer need to dial down the thermostat to keep your heating costs down. We have collected updated pricing for blown-in attic insulation, as well as costs for a DIY install vs. hiring a contractor. How Much Is Attic Insulation? The most common type of insulation, used in the majority of homes, is blown-in. It is available in a number of materials, each with its own pros and cons. This cost depends greatly on whether you chose to DIY the job (you can rent the equipment at a local home improvement store), or hire a contractor. It is best to hire a contractor if your attic has irregular joist spacing, obstructions and penetrations, or limited headroom/low clearance. Most attic insulation projects range between $1.40 to $3.60 per square foot. This assumes that contractors charge $60-75/hr. With this pricing structure the total cost is between $1,700-4,500 for 2,500 ft. space. It important to realize that prices will vary depending on the size of your house and your geographic location. Labor rates in areas with a high standard of living, such as New York City can be 30-50% higher than in regions with more modest average incomes. If you have a Cape-Cod style or other knee-wall type of house, you will be charged more for labor, because of more difficult access and amount of time required to finish the job. Note, that most pros also include air sealing and ventilation in the total estimates quoted above. Want to get going with this project? Request 3-4 free estimates from local pros. If you have a large, open space attic, its likely you can insulate it yourself. Depending on the size and complexity of the job this can result in 20-40% savings as compared to hiring a pro. 2. $100 for the machine (often you can rent it for free, when you buy the insulation material. To determine how much insulation you will need, first accurately measure your attic’s square footage. Read the label on the bag of the material you want to purchase: it will list the required depth for a range of R-values, as well as the number of bags needed to cover 1,000 sq.ft. of space. Before you begin: make sure to seal any air holes. 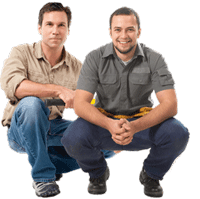 The most common areas are: attic windows, around pipes, exhaust fans, ducts, as well as around chimneys and flues. If you neglect this step, you will render your insulation efforts basically useless, as air will continue to escape through these small holes. Before you start researching different types of blown-in insulation, you need to figure out what R-value you need to keep your home at an optimal temperature. 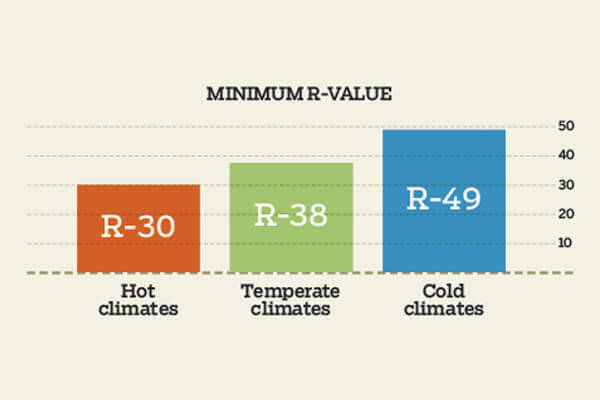 Recommended R-values vary greatly depending on the climate you live in, with colder regions requiring a higher R-value. You can choose between 3 types of blown-in insulation. Keep in mind that if you are looking to achieve higher R-value you will need to purchase more bags of material. Made from fibers derived from recycled post-consumer paper, and is the most common blow-in material used. If you are looking for a more natural, eco-friendly product, cellulose insulation is a better choice that fiberglass. Note, that cellulose is specially treated to be fire and insect resistant. It also has a higher R-value per sq.inch than fiberglass, and is resistant to air flow. However, it will develop mold, if exposed to moisture. Made of melted glass or sand that is spun into fibers. Because fiberglass insulation is lighter in weight and settles more than both cellulose and mineral wood, more bags are required to achieve the desired R-value. The main advantages of fiberglass are good sound proofing qualities, resistance to moisture and low price. On the down side, this type of insulation is susceptible to insect and rodent infestation, and has poor resistance to mold/mildew. The average price of fiberglass insulation is $33/bag, that weighs about 28.5 lb. (minimally required R-value). Note, the same amount of fiberglass as cellulose can cover 4 times the sq.ft., making it a much cheaper material. Manufactured using fibers from rock or recycled slag from blast furnaces, mineral wool is also an environmentally friendly material. Because it is naturally fire resistant, it is the most expensive blown-in insulation. Its main advantages are exceptional sound-proofing and heat insulation, resistance to pests and moisture. Mineral wood insulation is only material that can be blown-in without using a machine! Instead, it can just be crumbled by hand, but the process will take a lot longer. The average price is $55/roll. Check out my Cathedral Ceilings (Post & Beam) insulation options and Costs guide. In this post I explain how I did it, and how much it cost me.